Jay & I Mandap, I know them as one of the premier provider of bespoke wedding Mandaps in London for Asian, Indian & Hindu weddings. However, Jay & I Events offer stunning events decor for private functions and corporate parties / events either in an ethnic style or with modern elegance. 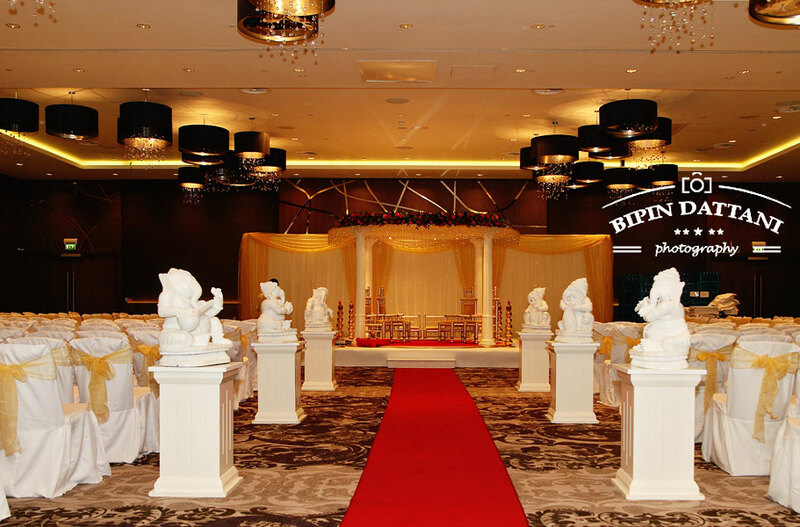 This image was taken at London Hilton Wembley, for the Hindu wedding of Rupa & Dharmesh – the first Indian wedding at this venue. As a Indian wedding photographer I come across many companies, Jaybhai, Indiraben and Sid offer the best mandap London UK services.